Ab-Soul. Photo by Chase Smith. 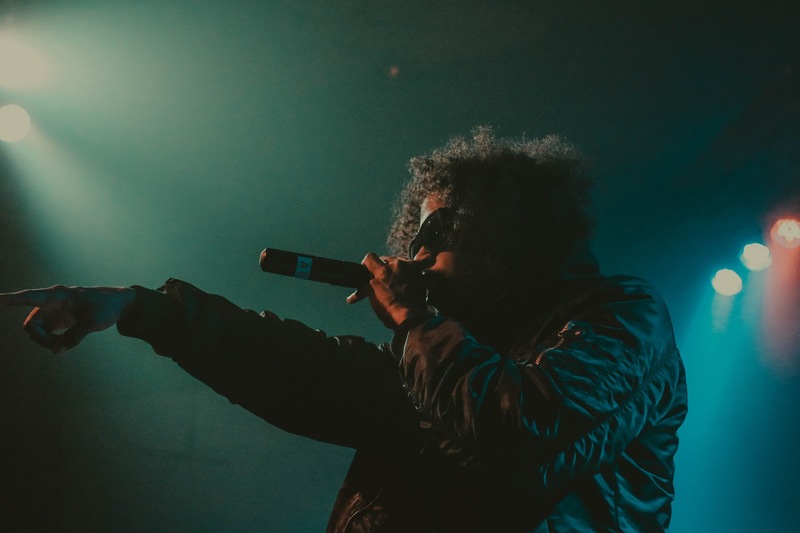 Top Dawg Entertainment's Ab-Soul appeared at The Granada on Wednesday night. Things were running behind schedule, but fans were relieved to see Soul finally show up with a small crew in tow. The show was made up of a lengthy setlist, but Soul often cut the fat off each track and the show moved quickly. Support for the show included Topeka's lyrical pride and joy, Stik Figa.